Bring some light into your social life with the Curioso Cuff. This artsy, interactive cuff is for women of all ages. Brighten any outfit with this trendy bracelet. Curioso Cuff is a unique bracelet with three interactive settings. From a day at the office to a night on the town, the metal weave cuff with flashing opal suits any occasion and every woman. It makes the perfect gift for your daughter, your mom, or even for yourself! But hurry, supply is limited! Every sophisticated man with style requires his phone and personal items stored in a sleeve and wallet that reflects his taste. In the spirit of that refined gentleman, I would like to bring to your attention Bison Made, a men’s lifestyle brand of heirloom quality accessories consisting of iPhone 4 & 5 sleeves and wallets, sumptuous leather wallets, bracelets, straight razors, grooming products and other signature and custom items. Handcrafted in U.S.A., every Bison Made product is constructed of only the highest quality leathers, each chosen for their rich luster and natural strength. To this end, Bison Made doesn’t use any plastic, rubber, glue or lining. To review the complete line, please visit www.bisonmade.com. The olivia + joy holiday 2014 collection offers the perfect gift to compliment every style – casual and fashionable or dressy and chic. 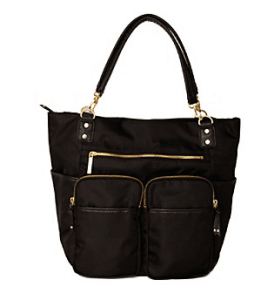 With handbags ranging from totes to clutches in both neutrals and bolds, you will be sure to find the perfect option this holiday season- and all under $100. 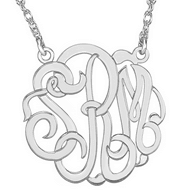 A leader for marrying fashionable trends with personalized sentiment, Posh Mommy Jewelry celebrates life’s most treasured moments with exceptional quality and unique designs like the mommy disc, wee loops, date tags, cufflinks, and nameplates. Make the holidays memorable with meaningful jewelry for moms, dads, teens, and siblings! Braun °CoolTec, the latest shaver from Braun, offers the closest shave for men, leaving behind a cool and refreshed face. The secret element in the °CoolTec is Braun’s innovative Thermo-Electric-Cooling technology. While most shavers allow warmth to build up in the head of the shaver, °CoolTec has an innovative aluminum cooling bar integrated into its head that actively cools down the skin during shaving, minimizing redness, burning and itching sensations, leaving behind a cool and refreshed trace. It has a 3-stage cutting system that adapts automatically to facial contours, simultaneously shaving short and long hairs with every stroke while cooling your face to 44 degrees. Its Advanced SensoBlade technology is designed to capture and cut hairs growing in different directions for the ultimate smooth shave. At the simple touch of a button the shaver is hygienically cleaned, charged and lubricated for maximum convenience, keeping the key precision cutting parts in top condition. While most shavers are replaced every 2 years, Braun shavers are engineered to last a total of 7 years. The latest innovation from Braun offers men the ultimate shaving experience. RRP of $159 for the system; $119 for the solo, and is currently available in U.S. stores. 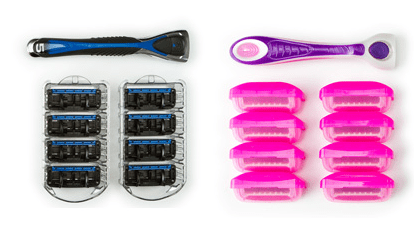 800razors.com, the burn-free razor company, offers American-made razors that compare to Gillette’s Fusion, Mach III and Venus for about half the price. Unlike disposable razors or those brought in by other online razor companies, 800razors.com‘s cartridges are ceramic coated for the best shave. A basic subscription comes in at $9.99 with a handle and 4 or 5 razor cartridges depending on order type. 800razors.com is now offering a His and Her Ultimate Combo Deal with 8 5-blade men’s cartridges w/ handle and 8 5-blade women’s cartridges w/ handle for 32.99.